When planning a party or shower for friends, the host wants to spend time with people instead of spending all evening in the kitchen! 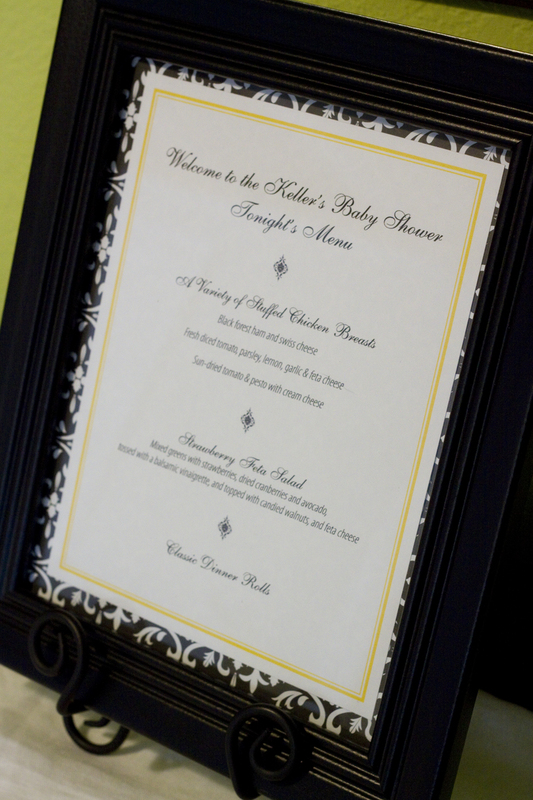 So here is a menu that can be prepped almost entirely before hand! Prep in advance: Cut a pocket in the chicken breast with a sharp knife. Make sure that the knife does not go all the way through the breast. Stuff the chicken breast with whatever ingredients appeal to you. We did three different stuffings and upon tasting them, evaluating and changing the recipes, here are three that I would recommend. 1. Pesto and sun-dried tomato mix. 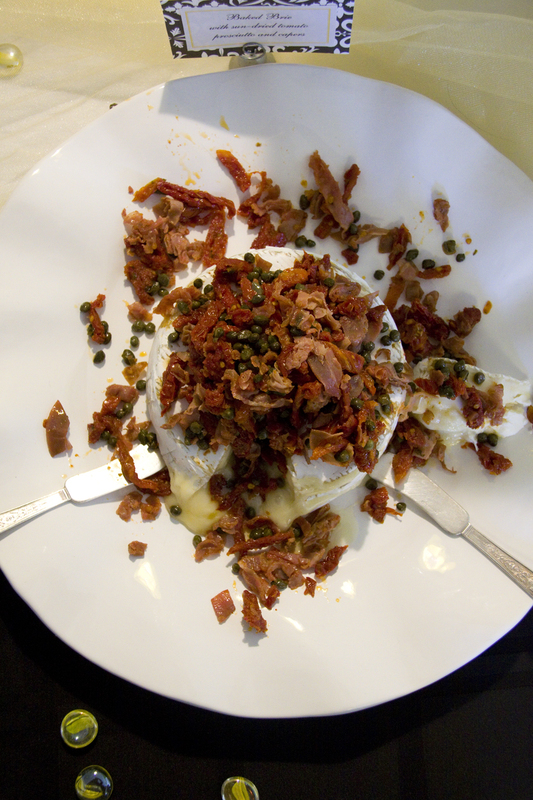 1 C. Pesto, 1 C. cream cheese, 1 C. sun-dried tomatoes packed in oil. This will stuff about four chicken breasts. 2. Caprice mix. 4 Roma tomatoes chopped, 1 C. fresh mozzarella, 1/2 C. basil chopped. This will stuff about four chicken breasts. 3. Cordon bleu mix. 7 thicker slices of black forest ham chopped, 7 slices of swiss cheese chopped. This will stuff about 4 chicken breasts. For the event we stuffed the chicken and then covered and refrigerated it until the day of the shower. On the day, one hour before cook chicken in oven to 350. I used convection since we had three trays of chicken. Bake about 45 minutes until a thermometer registers 160 degrees. After baking, slice the breasts into small slices so that guests can try several different kinds. This also eliminates waste for people who don’t want to eat a whole breast. For the salad we served three large organic salad mixes (the big plastic boxes) with six baskets of strawberries sliced into it, about 4 cups of feta cheese, 3 cups of dried cranberries and 4 cups of candied walnuts. All the slicing and candying walnuts were done in advance. The strawberries were sliced the morning of the shower. Two bags of dinner rolls were bought at costco. All of this plus 27 chicken breasts fed about 42 people. 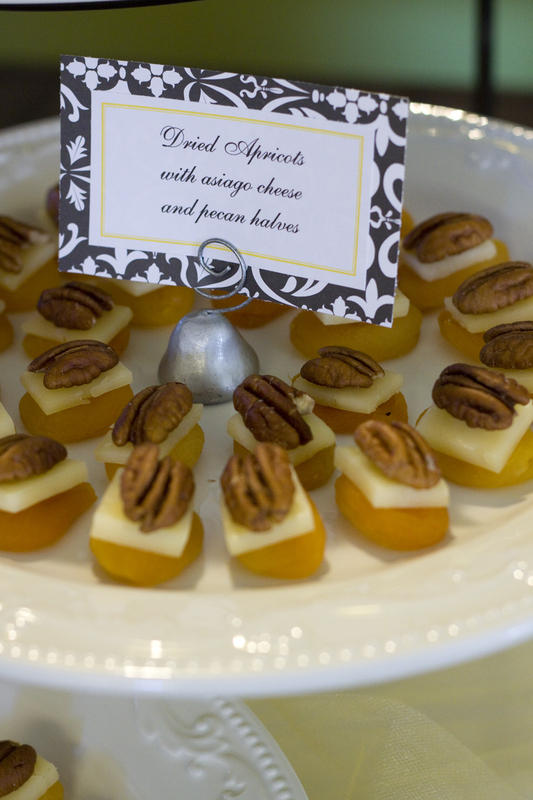 Simply stack a dried apricot, a small slice of Asiago cheese and a pecan. This is so simple, and so, so good. No toothpick necessary. Just pick up the stack and pop it in your mouth! 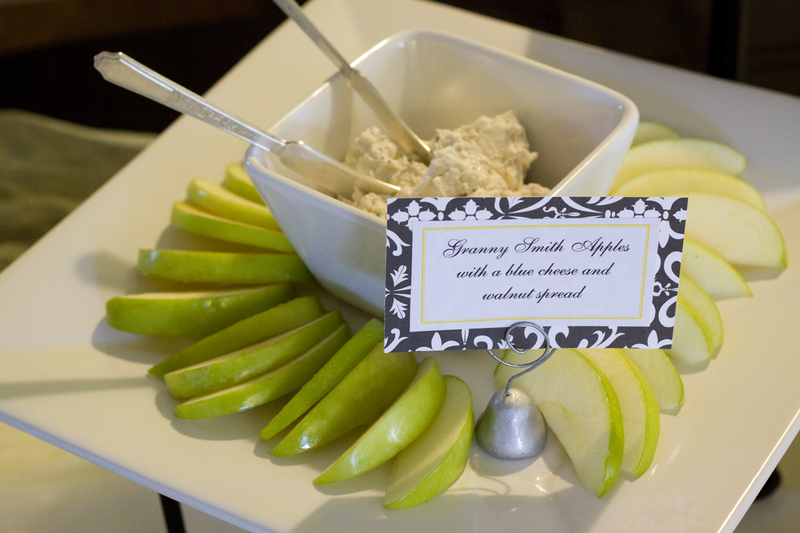 This entry was posted in appetizer recipe, baby showers, dinner recipe, recipe review by SummerSchmitz. Bookmark the permalink. This is a wordpress blog site. I recommend it. Its easy to navigate, there are a lot of “themes” to choose from. And its free! !